Since releasing their 2003 breakthrough record, The Beautiful Letdown, San Diego-based Christian rockers Switchfoot have found success in the mainstream while continuing to hold onto a dedicated following among Christian music fans. To date, only a handful of Christian music bands have successfully crossed over into the mainstream music market, however; they seem to be the exceptions to the rule rather than the norm. 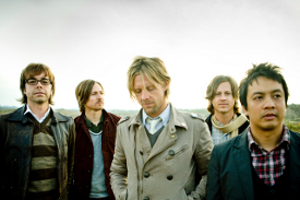 Although some Christian music bands may be overbearing with their messages and beliefs contained in their songs, Switchfoot have consistently stood by their beliefs while simply leaving their lyrics open to the listener’s interpretation. Might that be a part of the continued appeal of the band to both Christian and non-Christian music fans? Switchfoot guitarist Drew Shirley believes that just might be the case. “I think the message of following God could be too overwhelming to some,” Shirley admits down the line from Vermont. “There is a definite Christian bubble where it’s got its own lingo and language. Quite honestly, it is kind of a separatist movement in a way and hard to get in the door as an outsider. For their newest record, Hello Hurricane, Switchfoot decided to branch out their horizons when it came to the selection of a producer for the record. Rather than falling back on what some might consider being a rock producer, the band enlisted the services of Mike Elizondo, who has produced and played on records by artists as diverse as Dr. Dre, Pink and Alanis Morissette. Shirley admits that the selection of Elizondo might strike some as curious but the band’s fit with the producer was completely natural. Even though Elizondo’s background might have been rooted in hip-hop, the band first made his acquaintance through Switchfoot lead singer Jon Foreman. A song writing session between Foreman and Elizondo had been arranged that, once concluded, Foreman was jubilant about and felt the rest of Switchfoot should meet the producer. “We had to meet him to realize that he is amazing at what he does. He has an amazing collection of killer guitars and vintage amps and was good at giving exactly what a band would want from a producer. He had an overarching perspective and came in just as we were starting to weed through the 80 or so songs we had written. “He wasn’t involved each step of the way. In fact, he came in and was more akin to being a third party to the process and more or less gave us much needed feedback as to what worked and what didn’t work so well,” Shirley says. The most significant change for Switchfoot came in the form of having changed record labels after 2006’s Oh Gravity! That record marked the final album the band was required to deliver to their former label Sony; Switchfoot was anxious to start anew, even if it meant being label-less for a period of time. “Getting out of our contract with Sony was a huge release for the band. It had us finding our freedom, so to speak. “We started making ‘Hello Hurricane’ right when our contract with Sony had expired. We built our own studio so that we wouldn’t have to necessarily worry about the cost aspect of making a new record by constantly having to watch the clock,” Shirley says. Shirley says that the group finding the right partners to release the record was a crucial piece to the Hello Hurricane puzzle, a decision that the band did not take lightly. “We felt that it was too special of a record to not be given a chance to be heard. 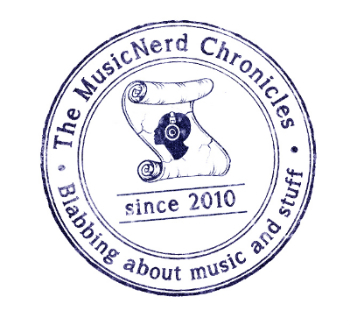 We wanted to be sure we were going to be aligning ourselves with a label who could give the record wings, so to speak. Switchfoot’s latest record Hello Hurricane is available in stores and online now. You can visit the band at their website at www.switchfoot.com.